These webinars can be viewed online through FamilySearch.org (see directions below). All times listed are Mountain time. Webinars can be accessed by going to FamilySearch.org; click on Search; select Wiki. Type Webinars and choose the top entry. Click on 1.1 Monthly Class Schedule, then the name of the month; scroll to find the desired class. This is part of my ongoing series featuring guest authors writing reviews of the courses offered at the Salt Lake Institute of Genealogy. I am excited to to have these friends share their perspective on the institute and the education they received. As genealogists researching and compiling the history of our families, we need to understand the time and place in which they lived. A crucial part of that understanding is learning about the laws that were in effect and their impact on our ancestors. One of the best ways of receiving a comprehensive education on legal records is to take Judy Russell’s courses at the Salt Lake Institute of Genealogy. She is the coordinator for a two-part curriculum. The first part, The Family History Law Library, will be offered in 2017. You can access more information here. In 2016, I attended the second part, Corpus Juris: Advanced Legal Concepts for Genealogy. Besides Judy being a knowledgeable and entertaining speaker, the course contained substantial information to assist genealogical researchers in their encounters with legal records. To briefly summarize, the topics included: an overview of the legal system, research tools and strategies, statutes, session laws, probate records, court records, debt records, criminal records published materials, canon law, and civil law. As you can see from the topics, it was a jam-packed week! One of my favorite parts of the course was the visit to the University of Utah Law Library. R. Lee Warthen, JD, MLS treated us to a personal tour of each floor of the library pointing out all the relevant resources that were available. It was a special treat to see the collection of old law books that were available to researchers. We also had the opportunity to do hands-on work at the library and a chance to put our new knowledge to the test as we worked through the exercises. I located a 1799 case that referenced a family with land in both Maryland and Virginia. The digest provided insight into the particulars of the case and it was amazing how many genealogical details could be gleaned from the summary. It is exciting to think about how much information might be available in the court records! I also enjoyed the hands-on exercises that Judy incorporated into the course. From the ones at the law library to the documents that were reviewed during the lectures, it was beneficial to see actual documents that illustrated the concepts and provided for critical thinking and analysis. Best of all with the Family History Library right down the street; I was even able to put my new knowledge to work when conducting personal research. As a genealogical researcher, the benefit of taking this two-part series will be realized in the increased knowledge you will gain and the ability to apply that knowledge to understand and appropriately analyze legal documents in the future. Specializing in Maryland and German research, Debra A. Hoffman is a professional genealogist and the owner of Hoffman Genealogical Services. 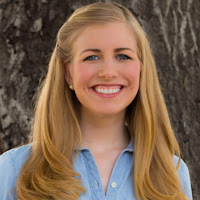 She has a certificate in Family History from Brigham Young University and, since 2009 she has completed courses at the Institute of Genealogy and Historical Research, the Salt Lake Institute of Genealogy and at the Genealogical Research Institute of Pittsburgh. Debra is a member of the Association of Professional Genealogists and serves on the boards of several genealogical societies. She belongs to the William Winchester Chapter of the Daughters of the American Revolution as well as many other state and local genealogical societies. This is part of my ongoing series featuring guest authors writing reviews of the courses offered at the Salt Lake Institute of Genealogy. I am excited to to have these friends share their perspective on the institute and the education they received. This one is written by Valerie Elkins. This course was new to SLIG, and much anticipated. The Reverend Dr. McDonald covered the history of numerous religions found in early America, some basic beliefs of the faith and what records were available and where they could be located. Especially helpful was knowing the changes in the different faiths, migration and map locations through periods of time. As Doctor of Divinity, David McDonald is an excellent and very qualified course coordinator. His presentations were through, thoughtful and well planned. His humor and wit are a plus. Michael Locopo was very well versed in the Mennonite religion and also gave a class on the religious newspapers and periodicals available. Michael is not only a knowledgeable instructor, a seasoned presenter, but he was very generous in his offers to assist the students. Lisa Arnold has a great love and understanding of the Quaker faith and that was respectfully communicated in her presentation. I enjoyed her and appreciated her presentation. Warren Bittner offered a class on the many records available for those searching for records of The Church of Jesus Christ of Latter-day Saints. All the instructors provided excellent handouts and syllabus material. Church records are an invaluable resource and may provide the records and information that cannot be found elsewhere. I recommend this course who wants to be a better researcher in Early American records. Very well done and I personally gained some insight into my own family history. I would have liked to have more information on where records were located and lesson information on the religion’s founding and history, while interesting, I really wanted to delve into l more location of records, especially more lesser known sources. Michael Locopo covered Mennonite as well as Religious newspapers and periodicals. Lisa Arnold taught about the Quakers, while Warren Bittner covered The Church of Jesus of Latter-day Saints. The course did provide a great general understanding of Early US Churches, which is what I was hoping for. I would recommend this course for others, especially those with early US ancestors. Valerie Elkins is a professional researcher, specializing in Japanese ancestry, and is a frequent presenter and speaker at national and regional conferences. 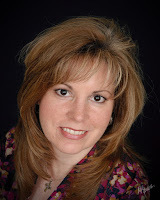 CEO and founder of Advantage Genealogy, she blogs about all things related to family history at FamilyCherished.com. Valerie serves on the Association of Professional Genealogists' Board of Directors and has worked at the Family History Library as an International Research Consultant. This is part of my ongoing series on studying the Genealogical Proof Standard. There are links to the other posts in the series at the bottom of this article. If you missed Studying Evidence Analysis, Part 1 you may want to review it, as it covers informal study options including books, articles, forums and websites. This article covers formal study options including courses, webinars and study groups. These vary in cost and format, such as online or in-person. Programs you can complete from home and free resources are included. Description: Source citations provide context for the information we gather. Was the death date from a tombstone, a newspaper obituary, a county history, a Bible record, or a death certificate? The best citations tell us that the tombstone was contemporary with the death, the Bible record was entered in the same hand and the same ink, the county history was written a hundred and fifty years later, and the death certificate was signed by an attending physician. The details provide background context that helps us evaluate the validity of the information and suggests other avenues for research. But this information only scratches the surface. A full evaluation of any record’s context requires that we explore the complete content of the document. We want to know the reason for the document’s existence; the social, legal, and geographical context behind its creation; and what ancillary documents were produced both before and after its creation. Description: The genealogist’s goal is to establish identity and prove relationships. multiple sources to solve a problem. 5 - A free option that provides an opportunity to study and discuss the concepts and practice of evidence evaluation with other genealogists, are online study groups. There are two different groups that are relevant to this topic. GenProof Study Group– Small groups that study the concepts in Mastering Genealogical Proof by Thomas W. Jones. Individuals in these groups study the book chapter by chapter, complete the exercises in the book, and meet online to discuss the concepts with each other and a mentor. NGSQ Study Group -- The NGSQ Study Group is an online study group that meets monthly to study scholarly articles from the National Genealogical Society Quarterly. The purpose is to examine the evidence and methodology used in the case study and discuss it with other genealogists. There are several different groups that meet at various times to accommodate participants’ schedules. 6 – The Learning Center at FamilySearch.org has a presentation by Thomas W. Jones entitled “Using Correlation to Reveal Facts that No Record States.” You can download the course materials and view the 45-minute presentation here. 7 - The absolute best teacher may be experience. Once you have studied evidence analysis techniques start practicing them! Pull out a piece of your research and analyze all of the evidence you have collected using the Evidence Analysis Map inside the front cover of Evidence Explained: Citing History Sources from Artifacts to Cyberspace by Elizabeth Shown Mills (Baltimore: Genealogical Publishing Company, 2015). Analyze each piece of evidence, and then correlate it with the evidence you have from different sources. If this is difficult, go back and reread the resources in Studying Evidence Analysis, Part 1. If you have suggestions for other methods for studying evidence analysis, please share them in the comments. The blood seemed to be pounding in my head, my heart was racing. I surreptitiously wiped my sweaty palms on my jeans, hoping no one would notice. Was I completely out of my depth? Or had I nailed it?? I felt such a combination of excitement and nervousness on the first day of the Advanced Evidence Analysis Practicum at the 2103 Salt Lake Institute of Genealogy. So, why did I choose it? And why did I choose the Practicum again in 2016? Because the Practicum offers an experience unlike any other offered at a genealogical institute. The Practicum experience is endless—different cases are prepared by different presenters each year. The course is not just information gathering! Each case requires determining which documents are important, analyzing the information gleaned, resolving any conflicts, and reaching a sound conclusion—usually from indirect evidence. Participants are asked to write a summary each day and turn it in before class begins that afternoon. A case presented in 2013 by William D. Litchman, PhD required participants to identify a man for whom we were given only a name, a marriage license, and a few newspaper articles. We were tasked with finding the correct man and learning where he came from, where he went, and who his family were. The answer to this problem was reached by focusing on the man’s identity—the types of activities he engaged in and his apparent educational background. In January 2016, Paul K. Graham, CG, AG gave us all the documents necessary to prove who the father of an individual was. The question was not difficult to answer; however, we were tasked with analyzing and correlating the information and writing a proof summary of the indirect evidence that provided the answer. I have learned that applying a variety of techniques can help—sometimes a case seemed to require a timeline, another case lead me to create a database of family members and extended family. Some cases were made clearer by the creation of comparison charts. The Practicum taught me time management—with only 22 hours to solve a case and write a conclusion, you have to plan out your time! I learned that it is best to follow the instructions! I learned that it is best to stay focused on the research path that will most likely lead to the answer and not get lead astray by interesting tid-bits (the curse of the researcher)! Most of all, I learned that even if I didn’t quite get the answer, there is always another day and another opportunity to hone my skills. Karen Matheson has been doing genealogical research for more than 20 years and works as a professional genealogist. A native of Utah, Karen formerly lived in Texas and currently lives in Morgan Hill, California. Karen has served on the boards of many different genealogical societies and volunteered in a Family History Center for five years. Karen enjoys researching, mentoring, teaching, and sharing her enthusiasm for genealogy and family history with others! Angela Packer McGhie, “Is the Advanced Evidence Analysis Practicum Course Right for You?” Adventures in Genealogy Education, (http://genealogyeducation.blogspot.com/2013/06/is-advanced-evidence-analysis-practicum.html : accessed February 2, 2016), Saturday, June 1, 2013. This is part of my ongoing series on Educational Preparation for BCG Certification. It is not limited to those interested in certification, but provides ideas for any interested genealogist. There are links to the other posts in the series at the bottom of this article. Note: One of the recommendations in part 2 of this article (which will be posted next Monday), is time sensitive so will be included here. Tomorrow, Tuesday, February 16th, there is a free webinar hosted by the Board for Certification of Genealogists. This week our focus is on understanding and applying the second element of the Genealogical Proof Standard, “tests—through processes of analysis and correlation—of all sources, information items, and evidence.” This topic is broader than others we have discussed in this series. I will highlight some of the options I have found for studying evidence analysis and correlation, and I hope others will share their suggestions in the comments. 1 - Read chapter 1 on the “Fundamentals of Evidence Analysis” in Evidence Explained: Citing History Sources from Artifacts to Cyberspace by Elizabeth Shown Mills (Baltimore: Genealogical Publishing Company, 2015). This chapter is one of the best explanations of evidence analysis available in genealogy. It covers basic issues and then explains the evidence analysis process map (the third edition of the book published in 2015 contains the most recent version of the map). She continues on to list the important considerations in conducting analysis of genealogical records and the evidence they contain, including the classes of evidence, the quality of the evidence, and points to consider in your analysis. 2 – Second, study chapter 5 of Mastering Genealogical Proof by Thomas W. Jones (Arlington, Virginia: National Genealogical Society, 2013). Dr. Jones points out that “we analyze one source at a time,” and provides tests for analyzing the source and the information. Once we have analyzed each source we compare them to see what evidence agrees, and where we may have conflicts. This chapter contains examples of analysis and correlation in the figures and tables provided, and then exercises for you to practice these skills. 3 - Review chapter 4 on “Standards for Researching” in Genealogy Standards: 50th Anniversary Edition by the Board for Certification of Genealogists (Nashville: Ancestry, 2014). This chapter contains standards #35 through #47 for analyzing evidence, and particularly #35 on source analysis and #36 on information analysis. These are the standards by which BCG portfolio applications will be judged. 4 – Study chapter 17 on “Evidence Analysis” by Donn Devine in Professional Genealogy: A Manual for Researchers, Writers, Editors, Lecturers and Librarians edited by Elizabeth Shown Mills (Baltimore: Genealogical Publishing Company, 2001). This chapter was written before the new 3 x 3 Evidence Process Map was produced (see the 2015 edition of Evidence Explained), but the principles in the chapter are sound. The questions about factors that point to the reliability, or unreliability, of evidence on page 337 are useful tools. 5 – You may also like to read Elements of Genealogical Analysis by Robert Charles Anderson (Boston: NEHGS, 2014). This book presents a step-by-step process for solving genealogical problems using source analysis, record analysis and linkage analysis. 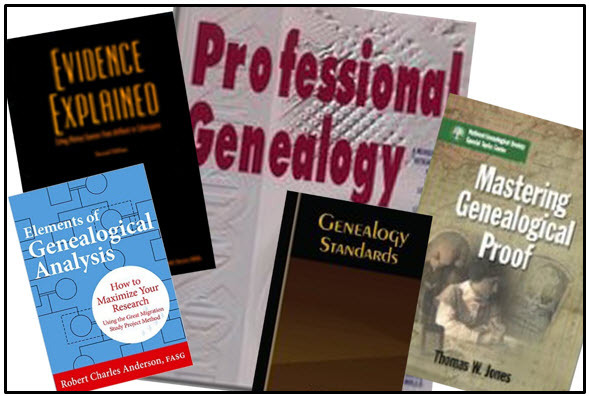 Anderson uses different terminology than the Board for Certification and Mastering Genealogical Proof, so don’t get confused, but his analysis techniques are sound. Evidence Explained Forums – a place for you to ask questions on evidence analysis issues as well as record usage and interpretation. You may want to read the archives. QuickLesson 8: What Constitutes Proof? A Record Here ... A Record There ... Wow! A Match! Analyzing Compiled Material "On the Fly"
Stefani Evans, "Data Analysis," OnBoard 18 (May 2012): 13-14. Stefani Evans, "Evidence Correlation," OnBoard 18 (September 2012): 21-23. Part 2 of "Studying Evidence Analysis" with the formal study activities will be posted on Monday, February 22, 2016. This is part of my ongoing series featuring guest authors who have agreed to review one of the courses offered at the Salt Lake Institute of Genealogy. I am excited to to have these friends share their perspective on the institute and the education they received. This one is written by Melanie Frick. When working to solve brick walls in my own family tree, I have often come to find that if my ancestors left behind nothing else, they made a point to leave records of their land. 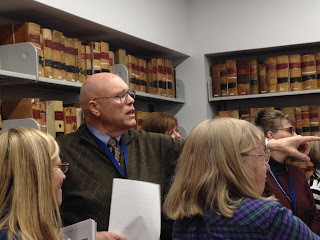 Therefore, I was thrilled to have the opportunity to immerse myself in "Advanced Research Tools: Land Records" at the 2016 Salt Lake Institute of Genealogy. Coordinated by instructors Richard Sayre and Pamela Boyer Sayre, with additional instruction provided by Judy G. Russell and Angela Packer McGhie, this five-day course was a stellar educational experience. As a long-time lover of land records interested in delving deeper, I was particularly interested in learning more about state land states as well as the fine points of military bounty land warrants and homestead applications. With sessions ranging from the Federal Land Division and State Land States to Private Land Claims, Land Entry Papers, Land Ownership Maps, Deed Platting, and, yes, Homesteads and Military Bounty Lands, not to mention several others, this course more than delivered. A look at "the law of the land" with Judy G. Russell provided an excellent overview of the different land records and legal terminology we would encounter throughout the week, and I came away with new inspiration for my own research as well as a wealth of information about available resources both online and off. One of the most unexpectedly rewarding sessions for me was an introduction to tract books by Angela Packer McGhie. Within a tract book can be found information about each section of land in the public domain, including the names of those who either purchased or claimed land, the dates of their transactions, and even, often the case for homesteads, information about claims that were canceled before patent. As a (hopeful) eventual BCG candidate, I am drawn to lesser-known resources such as these that offer a more complete look at an ancestor's life, and using the information gleaned from this session, within a matter of minutes I was able to locate a digitized tract book listing an ancestor's relinquished homestead. A later session with Richard Sayre answered my questions about obtaining this file, and in his discussion of homesteads, he drove home the point, "Reasonably exhaustive research in the public land states would include an examination of canceled claims." What was also especially helpful to me was hands-on experience with DeedMapper in a computer lab session at the Family History Library. If you've ever wondered how to make sense of a state-land description involving rocks and trees as landmarks and measurements in poles, the deed platting capabilities of this software could be of great value. The opportunity to become acquainted with other mapping resources, including HistoryGeo, one of my personal favorites, was eye opening, as was exploring the capabilities of Google Earth and the ability to place historic maps onto a modern landscape in order to identify the precise location of an ancestor's land. The Sayres made an effort to ensure that their instruction in the lab was easy to follow. Although individual homework was not assigned in "Advanced Research Tools: Land Records," group project assignments were made on Monday with short presentations following on Friday. In the interim, groups of about six could coordinate the division of labor as they saw fit and meet as frequently or infrequently as they liked in order to solve the assigned land-related research question. This was an effective way to piece together knowledge gained from different sessions throughout the week in order to thoroughly explore a variety of complex problems. "Land genealogy is equally as important as people genealogy," said Pamela Boyer Sayre in her final session of the week, and after exploring the wide range of land records available and the diverse information contained within them, I wholeheartedly agree. In addition to the overall high-quality educational experience, the Salt Lake Institute of Genealogy offers numerous social and networking opportunities as well as the chance to spend time researching at the nearby Family History Library. It is an excellent choice for those who would like to immerse themselves in the study of a particular topic at a genealogical institute, and I look forward to attending again. 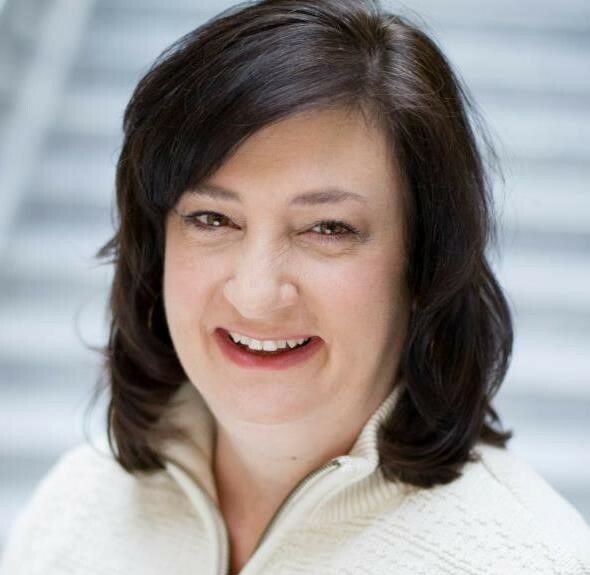 Melanie Frick, MLS, holds a Certificate in Genealogical Research from Boston University and has attended the Genealogical Institute on Federal Records and the Salt Lake Institute of Genealogy. She is the editor of the APG eNews, volunteers as a proofreader of the NGS Magazine, and serves on the board of the NextGen Genealogy Network. She also writes at Homestead Genealogical Research. An Iowa native with deep roots in the Midwest, Melanie lives in Southern California.